As stated in my Week 7 post, this week I was able to enjoy a kid free Sunday, a massage and a girls afternoon with my good friend Maureen. 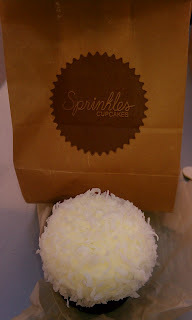 We went to Ulta and had to stop at Sprinkles cupcakes. At Ulta I found so many neat things I wanted, but I had to hold back. I did pick up the Cargo Swimmables Eyeliner that I've been eyeing. I am always looking for waterproof eyeliner because my eyes water a lot and because I'm always at the pool. Cargo Swimmables come with a purple, teal, gold and blue. The teal and gold are gorgeous! Great color payoff and definitely does what it's supposed to do. This set includes 4 Mini eyeliners for $19. These pencils are great! They glide on smooth. Even smoother than the Urban Decay 24/7 liners. But I love the UD 24/7 liners too. After running my hands through water and even washing dishes, the colors have not blended, smudged or disappeared. It took my actually scrubbing it or using the Makeup Forever Sens'eyes remover. It definitely lives up to it's name and serves its purpose. A great deal for FOUR eyeliners. I also picked up the OPI Shatter in Navy. I've been wanting this color. Here I tried it over Essie's Bachelorette Bash. This week was the first full week of my oldest son's Summer vacation. We got started on our Summer Bucket List. I will add a photo of our bucket soon. We are still taking advantage of the Passport to Summer event at Michael's. On Thursday the boys and I took a trip up to Temecula for their 6 month dental appointments. I kept their dentist even though he's an hour away because he's a great dentist. It also gives us a change to get away and enjoy our friends in Temecula. 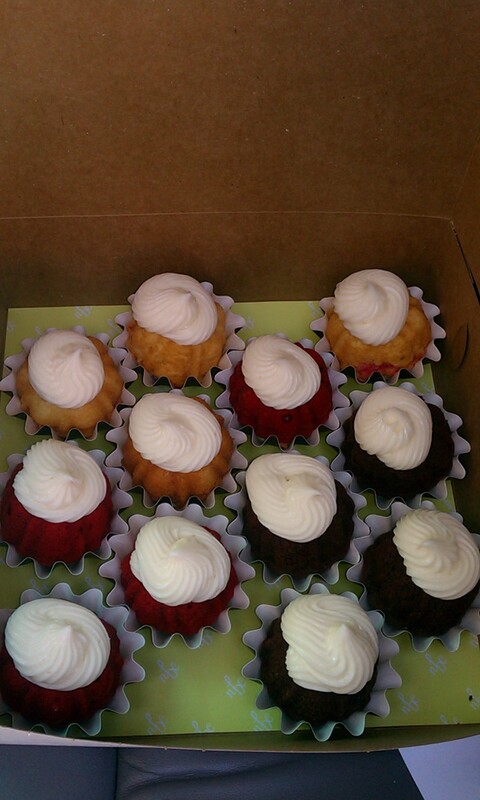 This time we went to lunch with friends and of course had to stop at Nothing Bundt Cakes. 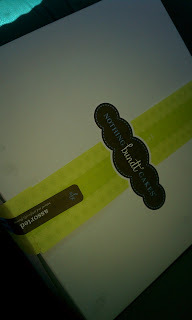 I love their bundtinis. Of course a dozen didn't last in our house very long! This week we have of course the 4th of July weekend. I will be celebrating with family, celebrating my Grandpa's 93rd birthday!! Needless to say, family will be in town, there will be lots going on. Hope everyone enjoys their weekend. Be safe!